With numerous hits and millions of record sales under his belt, songwriter, producer and avid Toontrack user Mitch Allan knows how speed and instant results is of the essence when being in the creative zone. "If I throw EZmix on something I recorded, it's really inspiring when the song comes together. It makes you feel like you are making a record even though you are only writing a song", Mitch Allan says. Mitch has created a collection of presets specifically designed for songwriters; a tool box with the essentials you'll need when making that demo track, adding that harmony, making that vocal cut through or getting your drums to sit right in the final mix. 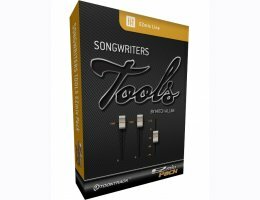 All the way from the first chord to the last tweak on the master fader, the Songwriters Tools EZmix pack will help boost your creativity at the same time as it takes your tracks to new levels!